The Laramie Local Crowd platform is designed to build community and encourage collaborations while providing an engaging resource to grow local businesses. Projects launched on the platform will strengthen the relationships between consumers and businesses and fortify Laramie’s network of entrepreneurs. We believe that building support for those seeking capital, whether a non-profit or locally owned business will result in a community wide “stronger, better together” mentality. 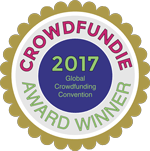 Crowdfunding is the practice of sourcing small contributions from a large number of people to provide funding for a particular project or campaign. Laramie, Wyoming is one dozens of communities using a customized platform known as The Local Crowd, a Wyoming organization that has received a grant from the United States Department of Agriculture to pay for the platform licensing fees and to provide associated training to communities like ours. The Laramie crowdfunding platform is being hosted by Laramie Main Street, a 501 c non-profit and managed by a team of “Campaign Curators” made up of experts from the Wyoming Small Business Development Center, Wyoming Business Council, Identity Branding Co. and the Laramie business community. Additional “campaign advisors” are being trained to provide volunteer assistance to campaign creators. If you are interested in learning more about being a campaign advisor or launching a campaign, contact the Platform Host: Trey Sherwood at downtownlaramie@gmail.com or 307-760-3355. Platform Mission: Our mission is to provide a crowdfunding platform accessible to both businesses and non-profits throughout our community to use for sharing ideas and empowering each other’s interests in ways that strengthen Laramie’s economy and overall quality of life. The project is located in Albany County, Wyoming. The project proposes a measurable benefit to the local economy and/or improvement to the quality of life in Albany County, Wyoming. The project does not propose any illegal activities and would not be considered malicious or hateful toward any individual or group. Projects that complement the mission of Laramie Main Street, including opening or growing a business downtown, preservation, public art and/or enhancements to the historic district will receive special consideration. If your project meets these criteria, you are ready to submit a campaign idea to the platform! (link to Submit your Idea). This page contains our guidelines for campaigns and an overview of the process to create, launch and manage a fundraising campaign. Along the way, helpful resources are provided via hyperlinks. More information can be found in the About Us tab or the FAQs above. If your project meets these criteria, you are ready to submit a campaign idea to the platform! Once you have submitted a campaign idea and have been approved by a campaign curator, you will be given a login for the platform in order to begin building your project’s campaign. The platform’s campaign curators and advisors will guide you through the process to create, launch and manage a campaign and offer assistance along the way. 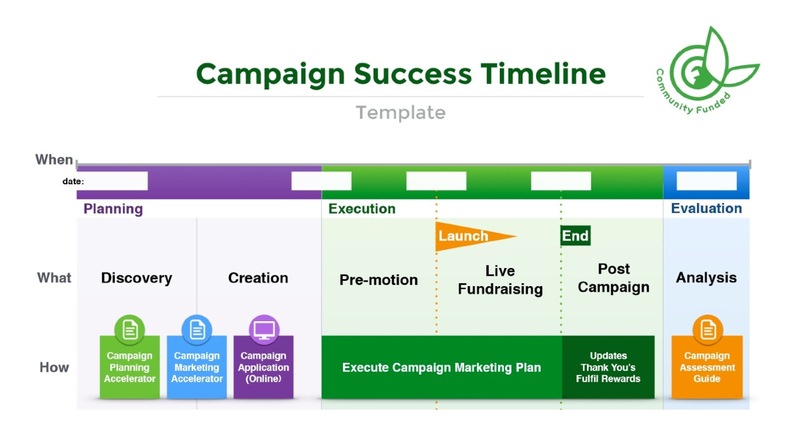 This is typically a two-month process from start to launch of the campaign on the platform (see timeline below). It is strongly suggested that you have a team of between three and five people to work on and provide marketing for your project. A crowdfunding campaign consists of the Project Description – a written narrative and typically an accompanying short video that describes your project, along with your Fundraising Goal, Campaign Timeframe, optional Rewards that are available to those who support your campaign, and your Marketing Campaign. It is recommended that you utilize these workbooks; they include in depth review of the following campaign elements. The project description is the place to tell your story. Why should donors support your project? This is the place to be compelling, passionate and really sell your campaign! Craft a narrative that others can understand and relate to. This should be detailed, yet concise. Adherence to recommended content and structure will ensure a successful review process. Campaigns with a word count of 300-­500 words raise the most money (according to GoGetFunding.com). Campaigns with descriptions over 500 words will be returned to draft mode for editing. Campaigns are found to be much more successful if they have a 2-3 minute video to aide in the storytelling process. Videos must have high-quality production. Campaign creators are encouraged to review the Video Creation Guide page under the Campaign Resources tab. All videos will be posted to YouTube and should adhere to any standards required by YouTube. All campaign content must represent Laramie in the best possible light. Please be sure that both your video and your copy talk about how this campaign will benefit the community. You should be considerate of people, businesses or organizations that you mention in your description and/or video. Make sure they know you are mentioning them. Your goal should be realistic and accounted for—a list that describes where funds will go if your goal is met, and a plan for any funds raised that exceed the project goal. If your goal is NOT met, you are to apply the funds raised to offset costs for your project. Crowdfunding campaigns should set goals that may be a stretch, but ultimately are attainable with a solid marketing plan. Asking for too much or too little can affect your campaign’s chance of success. A typical goal for this type of platform is $5,000, but depending on your project’s needs and the amount of effort put into your campaign planning and execution, that goal might be significantly higher or lower. The average gift through this platform in other communities has been $50 (industry standard gift size is about $78). Therefore, a $5,000 goal would require 100 supporters. Different target populations may have different levels of spending. So take that into account when calculating goals and the number of supporters you think you will need. Remember it is always better to exceed your goal than to fall short. The Platform Host and Campaign Curators may suggest revising goals that do not seem attainable or do not have a solid marketing plan to back them up. The recommended timeframe for live fundraising is 20-45 days. This gives time to advertise your campaign, but keeps the sense of urgency, which is a useful tool in fundraising. Posting updates to communicate with your supporters and potential campaign supporters is essential during this timeframe. Private fundraising prior to launching live fundraising is a useful strategy and discussed in the Campaign Marketing Accelerator on the Campaign Resources page. Rewards are incentives you can offer your supporters in exchange for a financial donation to your campaign. Rewards can be anything (they don’t even need to be tangible items). The can be experiences, services, items, shout outs, event tickets and so on. The Local Crowd – Laramie platform also offers Sponsored Rewards (rewards donated by another person or business). These Sponsored Rewards show up in the Marketplace on a campaign’s page. A business offering a sponsored reward can benefit from the exposure on the campaign’s marketplace or it might be a discount that brings in customers. Strike a reasonable balance between collecting enough profit from your reward to make it worthwhile and not setting the price so high that it will turn people away. Offer rewards in tiers, but also package items to entice supporters to give more. For example, a $30 reward could include a hat, while a $60 reward could include a hat and a t-shirt. A marketing plan is integral to a successful crowdfunding project. Utilize the Campaign Marketing Accelerator located on the Campaign Resources Page. Crowdfunding isn’t magic—it takes work! It is best to be prepared with a well-crafted marketing plan. Before your project launches, stakeholders who will be interested should be identified and ideas of how you will communicate with donors and promote your project should be generated. This is to be carried out by the project leaders and their team. Team members are encouraged to utilize social media and other outlets to reach stakeholders within your field. Campaigns are more likely to succeed once 40% of your goal is raised, especially if the first 20-30% comes in the first week. Identify people who will promise to give before you launch, and get their gifts in within the first few days after the campaign has launched. According to GoGetFunding.com, campaigns with a day­-to-­day marketing plan raise 180% more than those without. Day-to-day marketing can include asks, campaign updates, thank you messages, and social media posts. Your marketing plan should include personal contacts, phone calls, email, and social media. Crowdfunding offers strong tools for stewarding contributors (thanks and updates). Campaign managers will commit to updating their campaigns a minimum of once per week while the campaign is live. Additionally, upon completion of the campaign (whether it meets its goal or not), they will also agree to post a thank you message to all of their contributors. Ideally, when a campaign is completed and the funds have been utilized for their intended purpose, campaign managers will post one last update. The Campaign Description will be reviewed to ensure that the project described fits with the mission and campaign criteria for the Laramie platform. Video and copy will be reviewed for graphic standards, as well as spelling and grammar. Social media links will be reviewed to make sure they work. Rewards will be reviewed to ensure they are reasonably priced and have clear descriptions. Do you have an idea for a great campaign? We want to hear from you! Use the button below to access our submission application.